5). Production finished, we send proof of finishment, customers pay the balance and we deliver the goods. Surface effects: traditional thick-wall type; transfer molded type and very smooth thermoformed fiber type. 2). One-stop services of designing, molding, sampling, manufacturing and turnkey packaging. 3). Supportive services like third-party factory audit, product inspection and sourcing of relevant products. 1). Are you a trader or a manufacturer with your own factory? We are an industrial and trade integration company. We have our own factory and cooperating factories. We communicate and trade in the name of our sales office which is financially independant. 2). What kind of packaging do you make? b. New smooth type: Thermoformed, very defined surface, sturdy and smooth, have the feeling of plastic; suitable for high-end products requiring good appearance. 3). 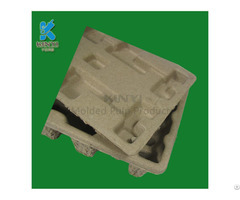 Will there be any tooling cost if we want you to make packaging for us? 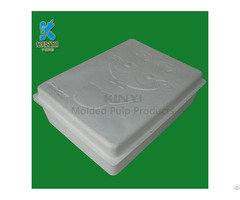 Molded pulp products are formed based on molds, so there will be tooling cost. 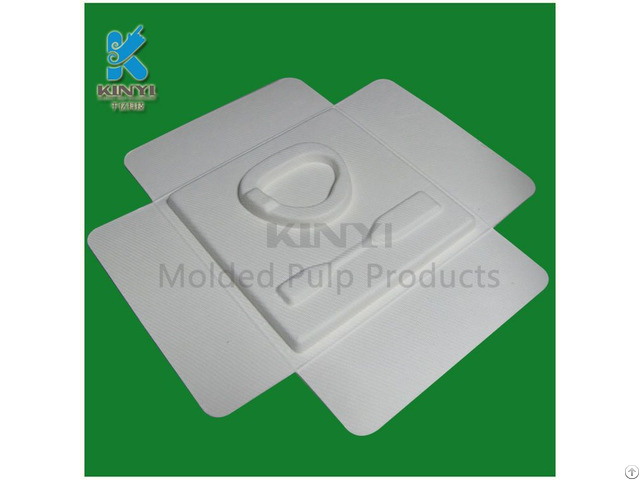 Our molds are made of high quality aviation Aluminum, and several molds are needed in different process to finish one product, so the tooling cost will be a bit higher than some other packaging like plasitc. The tooling cost can be returned if quantity is big enough. 4). Can you make the packaging design for us based on our ideas or products? We provide FREE design drawings based on customers' ideas or products. You can just send us details of your products like dimensions, pictures, or actual samples, then we can make the custom design based on your requirements. It only takes about 1-2 days. 5). Besides white and brown color, can you make other colors? The most common color is white, black and brown, but we can also make any other color as per request. But there will be MOQ requirment for other colors, and price will be higher.